The new system uses a 7-inch magnet and produces higher fields than the company’s existing Model 8404 HMS, for those materials requiring higher DC fields for characterization. This new system is ideal for measuring materials with mobilities from 1 to 106 cm2/V s and for making variable temperature measurements. The Model 8407 provides higher field strengths at variable temperatures than is possible with the Model 8404. The higher field of the Model 8407 is also an advantage when analyzing materials that fall at the low end of the mobility range of DC measurements. “The new system and software will enable even better measurements for furthering materials research,” said Brad Dodrill, Lake Shore VP of Sales. 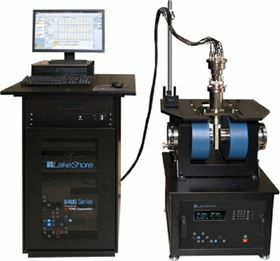 Supporting advanced research since 1968, Lake Shore (http://www.lakeshore.com) is a leading innovator in measurement and control solutions for materials characterization under extreme temperature and magnetic field conditions. High-performance product solutions from Lake Shore include cryogenic temperature sensors and instrumentation, magnetic test and measurement. Epoxy company Sicomin has supplied a number of epoxy resins for a new hydrofoil.